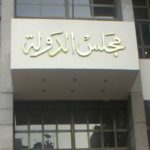 On 8 July 2014, ECESR filed an appeal to the Supreme Constitutional Court, in cooperation with the offices of the attorneys at law Khaled Ali Omar and Shaaban Kamel Abu Zahra. The appeal contested the constitutionality of Law No.32 of year 2014 issued by former President Adly Mansour. The law prevents any party other than the contracting parties from challenging sales or investment contracts signed by the state with any entity or investor, including decisions to privatize real estate property. Thus, the law will lead to the squandering of citizens’ and workers’ rights to address suspicions of corruption in those contracts, under the cover of the law. The contested law did not stop at that. It decided to stop all current appeals in all courts, even if filed prior to the law’s adoption. This provides immunity for former state contracts and allows the signing of new contracts, which further squander state assets and natural resources, especially in the absence of popular oversight. 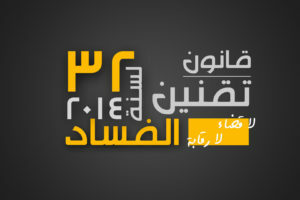 Public funds and Egypt’s wealth is a right for all citizens. Consequently, Egyptians have the right to oversee and safeguard such wealth. The government, however, decided to seize this right from the hands of citizens and judiciary authorities, particularly the administrative courts, which had issued several rulings invalidating corrupt contracts. 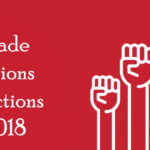 The unjust law was issued after several decisions in favor of workers – obtained by ECESR and others organizations – invalidating several corrupt contracts and brought back several authorities and companies sold under suspicious circumstances, to say the least. Following the flood of privatization, which squandered their rights as workers and citizens and led to the ruin of several important national industries, workers filed many appeals attempting to revoke sales and privatization contracts for some companies, addressing the corruption that marred the deals and the dismissal of workers to the benefit of the investor. 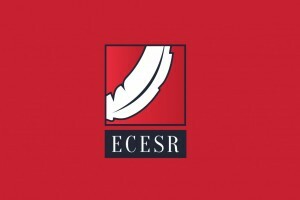 Through ECESR and others, the workers based their appeals on the articles of the Constitution and the law. 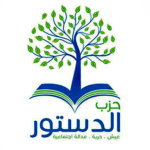 This was in addition to the fatwa of the Fatwa and Legislation Departments, which said that “public property is the property of the people and the government is merely deputized to manage this property.” This began with Omar Effendi company, then Tanta Linen, Shebin Textiles, Steam Broilers Company, Nile for Cotton Ginning, and al-Arabiya for External Trade. Workers and the legal centers defending them were able to obtain final rulings invalidating the sale and returning the company to the state, with all what it entails. Particularly, it included the return of workers who had been injured by the sales back to their jobs and all what they are owed. Although the decisions to invalidate the sales contracts and the workers’ return to their positions were final, the state is still dragging its feet in returning the companies to its property. Moreover, the workers are still seeking the courts to allow them to implement the decisions and return to work. 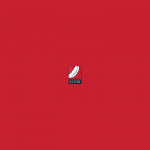 The appeal against Law 32 of 2014 was filed on behalf of 9 nine workers from NUBASEED (Noubaria Seed Production Co. Nubaseed S.A.E.) against the Prime Minister, Minister of Investment, and Minister of Agriculture and Land Reform, in their capacity, and addressed the legal representatives of several public and private real estate companies. 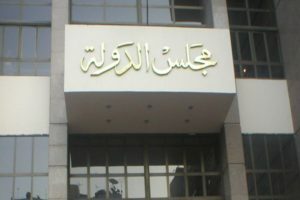 The appeal consisted of nine constitutional challenges against the law, including: absence of valid reason for passing the law, violating various articles of the 2014 Constitution, infringing on the rights of workers in the various Egyptian companies and sectors, and limiting the appeals to the administrative courts in the event of criminal litigation against one of the two parties – the investor and the government, in addition to the constitutional framework of the conflict. The appeal also discussed the Court’s authority in considering the appeal. 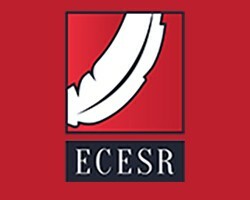 The current litigation is only one of the appeals to be filed by ECESR on laws issued by Chancellor Adly Mansour in his capacity as transitional president. The most notable case could be the protest law, whose appeals are facing a paradoxical situation, legally and politically. 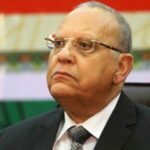 The Constitutional Court, currently presided over by Adly Mansour, will be considering the constitutionality of laws issued by Mansour, during his leadership of the country in the transitional phase. This raises several questions, beginning with the validity of his presidency of the court, which is considering the appeals. However, it also raises similar questions regarding all the members of the court. In this rare case, ECESR requested that court asks the legislature to prevent the President of the Supreme Constitutional Court from returning to his former duties following his term as President of the Republic.